And there we go again: back home! Next trip would be London. I will keep you posted! 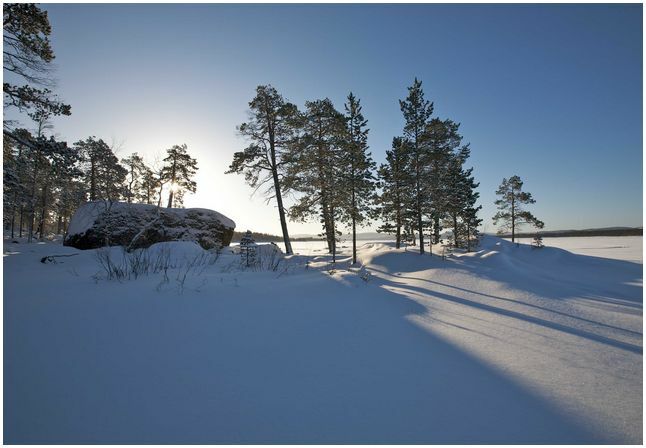 Want to celebrate Christmas in Lapland? Saturday afternoon I tried some skiing. I did some skiing years ago in Austria and Switzerland, but I got hooked on it again. I like fast sports, I like the cold (because you’re moving, you’re not so cold) and I like the surroundings. The beautiful nature. And in Ruka in Lapland it’s so quiet. It’s really a paradise for ski-lovers. 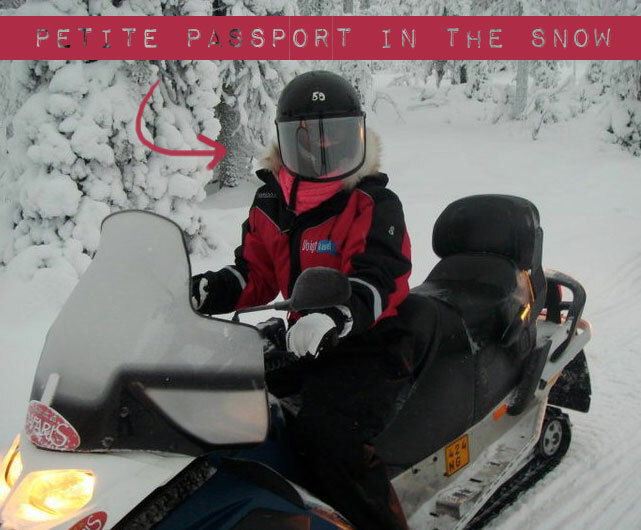 Marlies Dekkers invited me on the trip to Lapland. Apart from all the great and fun activities we did, the fall 2011 Fashion Show was planned on saturday evening. The bus took us to a cottage in the middle of a forest. Imagine this: candle light dinner, reindeer skin, everyone dressed up by the dresscode ‘roaring twenties’, Mathilde Santing singing. Romantism all over the place. Not quite a coincidence because the new collection of Marlies Dekkers told us her love story. She is deeply in love and while her man wrote her a song (which Mathilde Santing sang) she dedicated this collection to him. After this we learned that the brand Marlies Dekkers is, from now on, divided into two brands: the haute couture line marlies | dekkers and the younger, cool brand called Undressed. To speak in images: Lady Gaga would go for option one (a bit more extravagant), I will go for the second one (a bit more minimalistic). I love the new typography. And if Marlies Dekkers uses my body as a canvas with her designs I will be sure to feel like a foxy, fashionable lady. Even underneath my clothes. Something for the die-hard sauna visitor: in Lapland every house has their own sauna. After the warmth of the session you need to cool down. And if you’re having a lake in front of your apartment, why not jump into it? 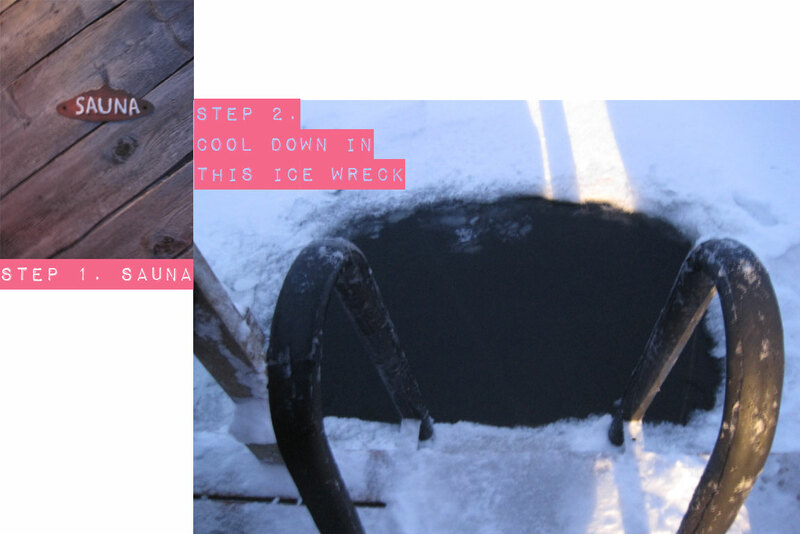 I didn’t tried & tested this one, but you can in Lapland. If you do let me know, because you will get a medal of honour, you braveheart! It was cold. – 20 degrees. But if you’re renting a thermo suit (like the one I’m wearing on the picture) you will stay warm. What was the nature like? Beautiful and unspoiled. Snow was everywhere. Are there any hotspots? Like a designhotel? No. They don’t have an ice hotel. But they do have cool ice bars. But if it’s cold and snowy, what can I do the whole day? Enough. 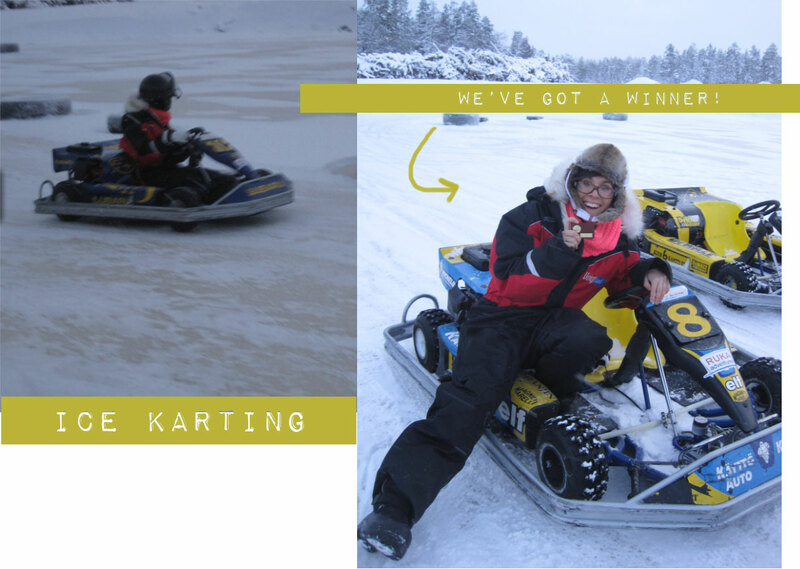 You can rent a snow scooter (that’s the thing I liked most but I like a bit of speed), go on a ride with husky’s, make a picture together with Rudolph the Rednose Reindeer, meet Santa Claus, go skiing, try some ice karting – or simply sit in the sauna. When goes the sun down? Around 3.30 pm it’s dark. Well it depends. There are men who propose to their girlfriends in an iglo where the temperature drops down to -4 degrees. My report in pictures is followed in the next couple of hours. Do you have any questions about Lapland? Ask me! This afternoon I’m flying to Lapland: home to Santa Claus. I’ve never been there but this last week I can’t stop thinking about it. About the temperature (-20 celcius, can I handle that? ), the nature, the reindeers and the sun (is she there or does it feels like night the whole day?). But I’m also looking forward to the purpose of this trip: Marlies Dekkers is taking me. Marlies Dekkers is the queen of lingerie and she is going to show us (the press) her newest collection. I will be back home this Sunday but I won’t be publishing anything till Monday (and that would be my report about this freezing, but wonderful, experience in Lapland). 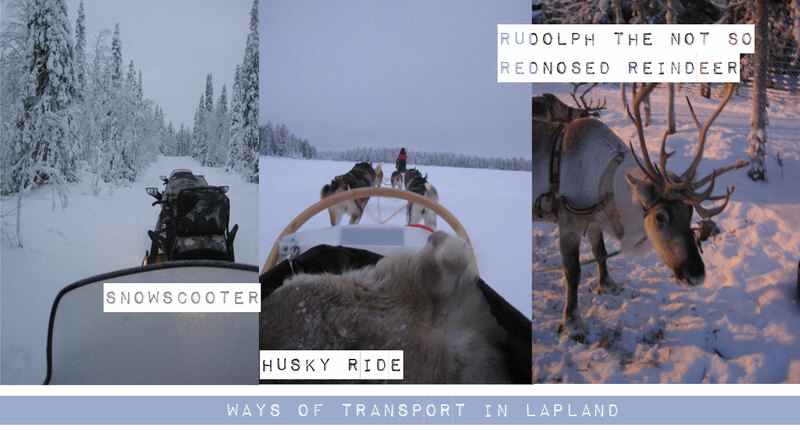 Have you been to Lapland? What was your experience?